Flue tiles are the clay liners that cover the interior of your chimney flue. They help keep your chimney drawing and operating properly while insulating it against fire. If your chimney flue gets too hot, it can crack the flue tiles. If this occurs, the tiles should be repaired as soon as possible. There are a few methods for repairing your tiles, depending on how many are cracked and where the cracks are located. Regardless of the method used, all chimney repairs must be done by a qualified professional. Allow the professionals at Patriot Chimney to repair your chimney flue. your safety is our main concern, so allow the professionals to get the job done. 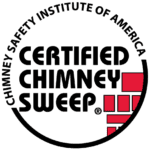 Call us today to learn more about our chimney flue repair services and specials!